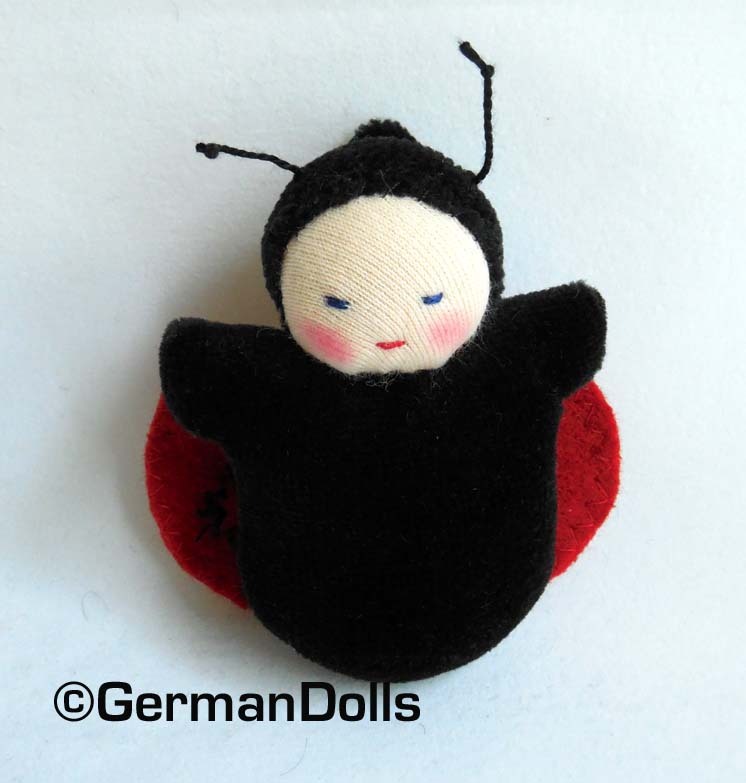 germandolls: As Cute as a Bug! 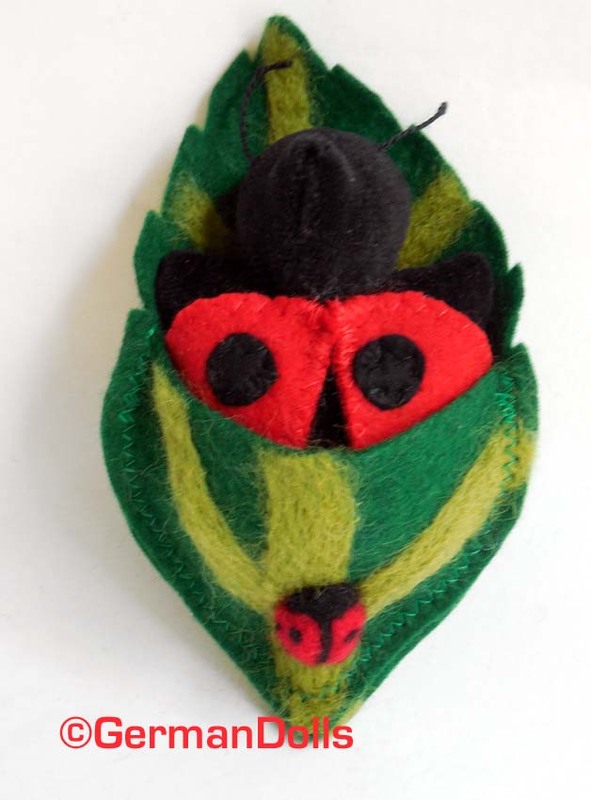 Inspired by a custom request I came up with this new design for my waldorf style Leafbuddy dolls. My little babies in a leaf bed have been popular with folks for a number of years. I added some wings and tiny antennae to my little leafbuddy friend. 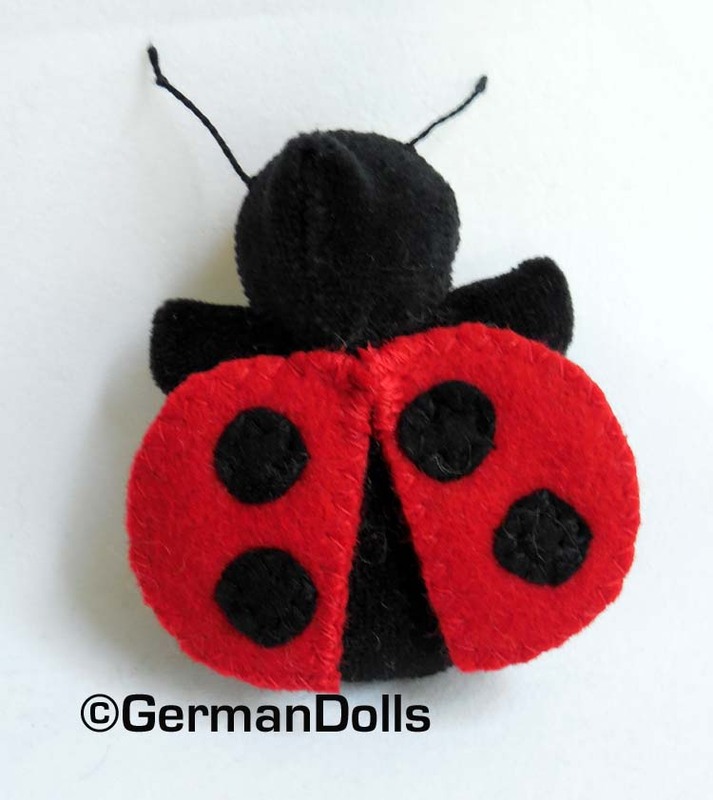 My kids loved ladybugs when they were little. We have books about them in English and German. Did you know the German word for ladybug is Marienkaefer? These are lovely Ulla! Such cuties. . .